0Infections should be the first differential diagnosis whenever one is faced with orbital inflammatory process. Historically, Chandler classified orbital cellulitis into 5 different stages. Stage 1, being inflammation localized anterior to the orbital septum, without orbital signs. In stage 2, there is infection extending posterior to the orbital septum leading to diffuse orbital edema. Stage 3 is defined by the presence of subperiosteal abcess, while stage 4 represents intraorbital abcess within the orbit. With further extension of the infection posterior to the orbit, cavernous sinus thombosis develops which is what defines stage 5. In more practical approach, orbital infections can be classified as preseptal or postseptal cellulitis. Preseptal cellulitis refers to those infections localized to the eyelids and periocular structures anterior to the orbital septum. The term postseptal cellulitis is used when the infectious process is located or has extended posterior to the orbital septum. In general, postseptal cellulitis is more severe and can lead to visual loss. For patients with postseptal cellulitis, CT scan with contrast infusion, including axial and coronal views, is essential. Axial views should include low narrow cuts of the frontal lobes to rule out peridural and parenchymal brain abscess formation. Coronal views are helpful in determining the presence and extent of any subperiorbital abscesses. MRI may be helpful in defining orbital abscesses and in evaluating the possibility of cavernous sinus disease. Patients may also have fever and elevated WBC count in their complete blood count. Community associated methicillin-resistant Staphlycoccus aureus (CA-MRSA) should be considered in young children and infants who present with preseptal or orbital cellulitis. MRSA, once considered as a nosocomial infection, is now seen to occur in healthy immunocompetent patients who lack the risk factors associated with the contact of the health care environment. A retrospective review of pediatric orbital cellulitis found that Staphylococcus species was the most common organism isolated followed by the Streptococcus species. This study found 73% of the S. aureus isolates were MRSA. In another study, MRSA was found in 44.4% of cases. The predominance of MRSA can vary by geographical location. WG is a necrotizing, granulomatous inflammation featuring vasculitis affecting any organ system, most commonly the respiratory and renal systems. If untreated, it is associated with a high morbidity and mortality. Orbital involvement in WG may be the first or only manifestation, with ocular manifestations occuring in over 50% of patients. Orbital WG usually results from spread of adjacent sinus disease, presenting with orbital pain, proptosis, and ophthalmoplegia. Severe WG can result in orbital socket contraction (enophthalmos), optic nerve infiltration or compression, leading to permanent vision loss and local destruction of the bony orbit. Ocular complications include conjunctivitis, scleritis, marginal ulcerative keratitis, uveitis, retinal vasculitis, optic neuropathy, dacryoadenitis, and nasolacrimal duct obstruction. Those suspected to have active orbital WG should have systemic work-up including renal and pulmonary assessment, C-ANCA, and orbital imaging with CT or MRI. Serum C-ANCA will be elevated in 80-90% of patients. The lesions in wegener's granulomatosis appear hyperintense relative to nasal mucosa in contrast enhanced CT, and sinus opacification with bony erosion will be visualized. In MRI, the lesions appear hypointense compared to orbital fat in both T1 and T2, but lesions enhance with IV gadolinium contrast. In circumstances where diagnosis has not been confirmed following clinical, laboratory, and radiologic evaluation, an orbital biopsy needs to be performed. Classic histological findings in WG consists of necrotizing granulomatous vasculitis with giant cells. Mixed inflammatory infiltrate with moderate number of neutrophils forming microabscess will be seen. The vasculitis will cause vessel wall necrosis with infiltration by neutrophils, which degenerate and become surrounded by palisading histiocytes and multinucleated giant cells. In these cases, the pathologist will perform Gram stain, fungal and Zeihl-Neelson stains to rule out infection. Rosai Dorfman disease (RDD) is a histiocytic proliferative disorder of unknown etiology, presenting commonly with large, painless, bilateral cervical lymphadenopathy, but able to involve any organ. It is associated with fever, leukocytosis, elevated ESR, and hypergammaglobulinemia. The orbit is involved in 10% of the cases, commonly by soft tissue infiltration and infiltration of the intraconal space. Clinical manifestations include proptosis, diplopia, blurry vision, dry eye, epiphora, epibulbar masses, marginal corneal infiltrate, and uveitis [Figure 6]a. , Orbital biopsy for histopathological analysis is needed for a diagnosis of RDD if the patient presents with an orbital mass-like lesion. Histologic examination reveals multiple aggregates of large histiocytes, accompanied by a dense infiltrate of plasma cells, lymphocytes, and granulocytes. Many of these histiocytes have engulfed lymphocytes within their cytoplasm (emperipolesis) [Figure 6]b. The histiocytes stain positive for S-100 and CD-68, but negative for CD1a [Figure 6]c.
Orbital inflammation can occur from response to an orbital condition rather than being a primary orbital inflammatory disease. Such triggering conditions include orbital tumors, especially lymphoproliferative lesions, ruptured orbital dermoids, orbital hemorrahages, mucoceles, or orbital foreign bodies. Patients suffering from orbital foreign bodies typically have a history of injury. Occasionally, delayed presentation is possible, and the patient can present with orbital inflammation or discharge from the sinus. For most of the foreign bodies, the diagnosis can be made by using X-ray and CT scan. MRI can be useful for the non metallic foreign bodies. A variety of infections and inflammatory conditions can be encountered in the orbit. When a clinician encounters a patient with clinical features suggesting an orbital process, it is important to consider, and work up for, a wide range of differential diagnoses. Orbital imaging with CT or MRI should always be performed in these patients, and orbital biopsy should be performed for any atypical or doubful diagnosis. A close collaboration between the clinician and pathologist is important in elucidating the correct diagnosis as crucial information may direct the pathologist in conducting special stains and immunohistochemistry to establish a pathological diagnosis. 1. Chandler JR, Langenbrunner DJ, Steven ER. The pathogenesis of orbital complications in acute sinusitis. Laryngoscope 1970;80:1414-28. 2. Yuen SJ, Rubin PA. Idiopathic orbital inflammation: distribution, clinical features, and treatment outcome. Arch Ophthalmol 2003;121:491-9. 3. Hornblass A, Herschorn BJ, Stern K, Grimes C. Orbital abscess: review. Surv Ophthalmol 1984;29:169-78. 4. Garcia GH, Harris GJ. Criteria for nonsurgical management of subperiosteal abscess of the orbit: Analysis of outcomes 1998-1998. Ophthalmology 2000;107:1454-8. 5. Todman MS, Enzer YR. Management versus surgical intervention of orbital cellulitis: The importance of subperiosteal abcess volume as a new criterion. Ophthal Plast Reconstr Surg 2011;27:255-9. 6. Tovilla-Canales JL, Nava A, Tovilla Y, Pomar JL. Orbital and periorbital infections. Curr Opin Ophthalmol 2001;12:335-41. 7. Kloek CE, Rubin PA. Role of inflammation in orbital cellulitis, Int Ophthalmol Clin 2006;46:57-68. 8. Ambati BK, Ambati J, Azar N, Stratton L, Schmidt EV. Periorbital and orbital cellulitis before and after the advent of Haemophilus influenzae type B vaccination. Ophthalmology 2000;107:1450-3. 9. Ferguson MP, McNabb AA. Current treatment and outcome in orbital cellulitis. Aust N Z J Ophthalmol 1999;27:375-9. 10. Chaudhry IA, Shamsi FA, Elzaridi E, Al-Rashed W, Al-Amri A, Al-Anezi F, et al. Outcome of treated orbital cellulitis in a tertiary eye care center in the middle east. Ophthalmology 2007;114:345-54. 11. Holds JB. Infectious and inflammatory disorders. Basic and Clinical Science Course. Section 7. Orbit, Eyelids, and Lacrimal system. San Francisco: American Academy of Ophthalmology; 2007-2008. 12. Harris GJ. Subperiosteal abcess of the orbit: Age as a factor in the bacteriology and response to treatment. Ophthalmology 1994;101:585-95. 13. Herold BC, Immergluck LC, Maranan MC, Lauderdale DS, Gaskin RE, Boyle-Vavra S, et al. Community-acquired methicillin-resistant Staphylococcus aureus in children with no predisposing risk. JAMA 1998;279:593-8. 14. McKinley SH, Yen MT, Miller AM, Yen KG. Microbiology of pediatric orbital cellulitis. Am J Ophthalmol 2007;144:497-501. 15. Miller A, Castanes M, Yen M, Coats D, Yen K. Infantile orbital cellulitis. Ophthalmology 2008;115:594. 16. Blayney AW, Frootko NJ, Mitchell RG. Complications of sinusitis caused by Streptococcus milleri. J Laryngol Otol 1984;98:895-9. 17. Brook I. Aerobic and anaerobic bacterial flora of normal maxillary sinuses. Laryngoscope 1981;91:372-6. 18. Ball JL, Malhotra RM, Leong P, Bacon AS. The importance of recognising Streptococcus milleri as a cause of orbital cellulitis. Eye (Lond) 2000;14:814-5. 19. Watkins LM, Pasternack MS, Banks M, Kousoubris P, Rubin PA. 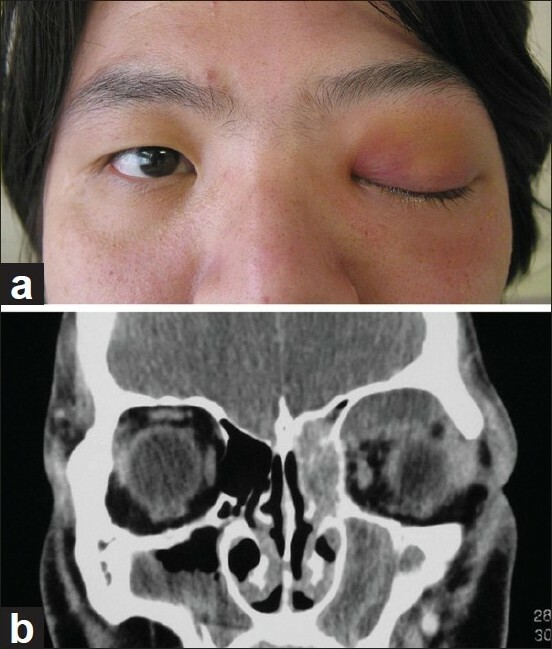 Bilateral cavernous sinus thromboses and intraorbital abscesses secondary to Streptococcus milleri. Ophthalmology 2003;110:569-74. 20. Udaondo P, Garcia-Delpech S, Díaz-Llopis M, Salom D, Garcia-Pous M, Strottmann JM . Bilateral intraorbital abscesses and cavernous sinus thromboses secondary to Streptococcus milleri with a favorable outcome. Ophthal Plast Reconstr Surg 2008;24:408-10. 21. Lattman J, Massry GG, Hornblass A. Pseudomonal eyelid necrosis: clinical characteristics and review of the literature. Ophthal Plast Reconstr Surg 1998;14:290-4. 22. Madge SN, Prabhakaran VC, Shome D, Kim U, Honavar S, Selva D. Orbital tuberculosis: A review of the literature. Orbit 2008;27:267-77. 23. Klotz SA, Penn CC, Negvesky GJ, Butrus SI. Fungal and parasitic infections of the eye. Clin Microbiol Rev 2000;13:662-85. 24. Brown J. Zygomycosis: An emerging fungal infection. Am J Health Syst Pham 2005;62:2593-6. 25. Levin LA, Avery R, Shore JW, Woog JJ, Baker AS. The Spectrum of orbital aspergillosis: A clinicopathological review. Surv Ophthalmol 1996;41:142-54. 26. Ribes JA, Vanover-Sams CL, Baker DJ. Zygomycetes in human disease. Clin Microbiol Rev 2000;13:236-301. 27. Lehrer R, Howard D, Sypherd P. Mucormycosis. Ann Intern Med 1980;93:93-108. 28. Spellberg B, Edwards J Jr, Ibrahim A. Novel perspectives on mucormycosis: Pathophysiology, presentation, and management. Clin Microbiol Rev 2005;18:556-69. 29. Kagen SL. Aspergillus: An inhalable contaminant of marihuana. N Engl J Med 1981;304:483-4. 30. Stammberger H. Formation of roentgen dense structures in aspergillus mycoses of the paranasal sinuses. HNO 1985;33:62-4. 31. Krennmair G, Lenglinger F, Muller-Schelken H. Computed tomography (CT) in the diagnosis of sinus aspergillosis. J Craniomaxillofac Surg 1994;22:120-5. 32. Thomas PA. Current perspectives on ophthalmic mycoses. Clin Microbiol Rev 2003;16:730-97. 33. 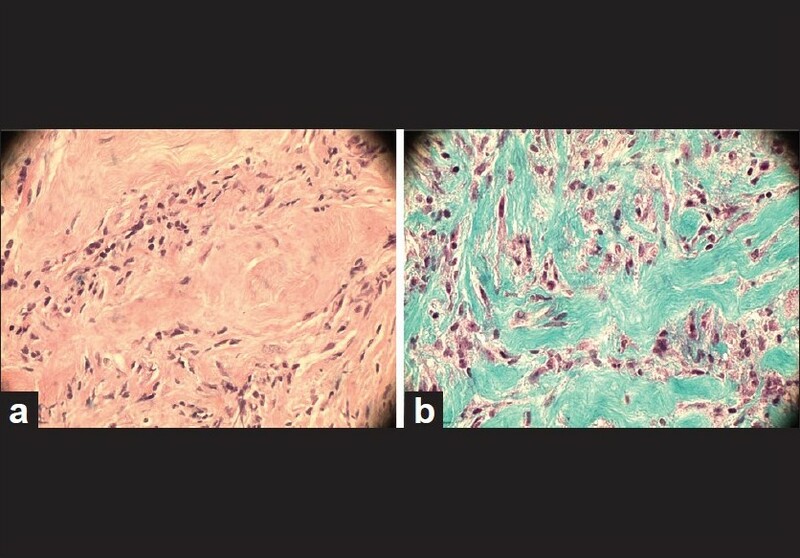 Dhiwakar M, Thakar A, Bahadur S. Invasive sino-orbital aspergillosis: Surgical decisions and dilemmas. J Laryngol Otol 2003;117:280-5. 34. Rath S, Honavar SG, Naik M, Anand R, Agarwal B, Krishnaiah S, et al. Orbital cysticercosis: clinical manifestations, diagnosis, management, and outcome. Ophthalmology 2010;117:600-5. 35. Morales AG, Croxatto JO, Crovetto L, Ebner R. Hydatid cysts of the orbit, A review of 35 cases. Ophthalmology 1988;95:1027-32. 36. 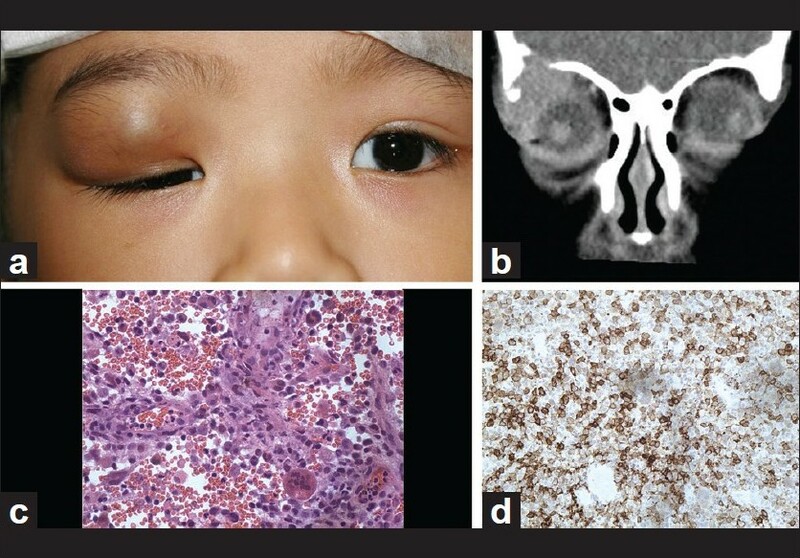 Talib H. Orbital hydatid disease in Iraq. Br J Surg 1972;51:31-40. 37. Bagheri A, Fallahi MR, Yazdani S, Rezaee Kanavi M. Two different presentations of orbital echinococcosis: a report of two cases and review of the literature. Orbit 2010;29:51-6. 38. Bartley GB. The epidemiologic characteristics and clinical course of ophthalmopathy associated with autoimmume thyroid disease in Olmstead County, Minnesota. Trans Am Ophthalmol Soc 1994;92:477-588. 39. Bahn RS. Graves' Ophthalmopathy. N Engl J Med 2010;362:726-38. 40. Wiersinga WM, Bartalena L. Epidemiology and prevention of Graves' ophthalmopathy. Thyroid 2002;12:855-60. 41. Enzmann DR, Donaldson SS, Kriss JP. Appearance of Graves' disease on orbital computed tomography. J Comput Assist Tomogr 1979;3:815-9. 42. Wiersinga WM, Smit T, van der Gaag R, Mourits M, Koornneef L. Clinical presentation of Graves' ophthalmopathy. Ophthalmic Res 1989;21:73-82. 43. Rootman J, McCarthy M, White V, Harris G, Kennerdell J. Idiopathic sclerosing inflammation of the orbit a distinct clinicopathologic entity. Ophthalmology 1994;101:570-84. 44. Patrinely JR, Osborn AG, Anderson RL, Whiting AS. Computed tomography features of nonthyroid extraocular muscle enlargement. Ophthalmology 1989;96:1038-47. 45. Abramovitz JN, Kasdon DL, Sutula F, Post KD, Chong FK. Sclerosing orbital pseudotumor. Neurosurgery 1983;12:463-8. 46. Hsuan JD, Selva D, McNab AA, Sullivan TJ, Saeed P, O'Donnell BA. Idiopathic sclerosing orbital inflammation. Arch Ophthalmol 2006;124:1244-50. 47. Tarabishy AB, Schulte M, Papaliodis GN, Hoffman GS. Wegener's granulomatosis: Clinical manifestations, differential diagnosis, and management of ocular and systemic disease. Surv Ophthalmol 2010;55:429-44. 48. Provenzale JM, Mukherji S, Allen NB, Castillo M, Weber AW. Orbital involvement by Wegener's granulomatosis: Imaging findings. AJR Am J Roentgenol 1996;166:929-34. 49. Bullen CL, Liesegang TJ, McDonald TJ, DeRemee RA. Ocular complications of Wegener's granulomatosis. Ophthalmology 1983;90:279-90. 50. Courcoutsakis NA, Langford CA, Sneller MC, Cupps TR, Gorman K, Patronas NJ. Orbital involvement in Wegener's granulomatosis: MR findings in 12 patients. J Comput Assist Tomogr 1997;21:452-8. 51. Rootman J, Mavrikakis I. Diverse clinical presentations of orbital sarcoid. Am J Ophthalmol 2007;144:769-75. 52. Demirci H, Christianson MD. Orbital and Adnexal Involvement in Sarcoidosis: Analysis of Clinical Features and Systemic Disease In 30 Cases. Am J Ophthalmol 2011;151:1074-80. 53. Vick VL, Wilson MW, Fleming JC, Haik BG. 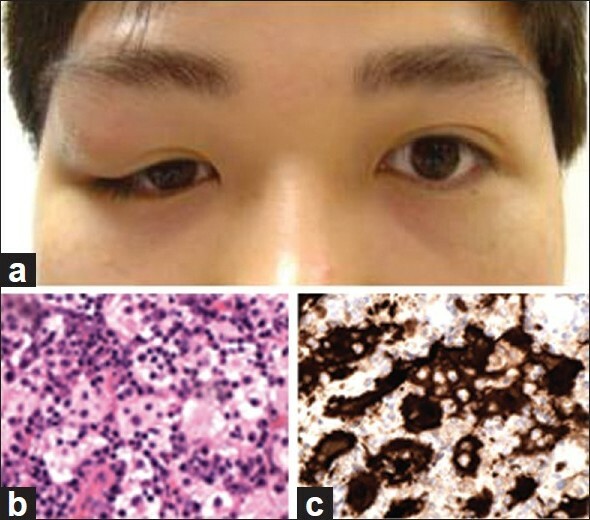 Orbital and eyelid manifestations of xanthogranulomatous diseases. Orbit 2006;25:221-5. 54. Guo J, Wang J. Adult orbital xanthogranulomatous disease: review of the literature. Arch Pathol Lab Med 2009;133:1994-7. 55. Enriquez P, Dahlin DC, Hayles AB, Henderson ED. Histiocytosis X: A clinical study. Mayo Clin Proc 1967;42:88-99. 56. Jubran RF, Marachelian A, Dorey F, Malogolowkin M. Predictors of outcome in children with Langerhans cell histiocytosis. Pediatr Blood Cancer 2005;45:37-42. 57. Vosoghi H, Rodriguez-Galindo C, Wilson MW. Orbital involvement in langerhans cell histiocytosis. Ophthal Plast Reconstr Surg 2009;25:430-3. 58. Kamisawa T. IgG4-positive plasma cells specifically infiltrate various organs in autoimmune pancreatitis. Pancreas 2004;29:167-8. 59. Plaza JA, Garrity JA, Dogan A, Ananthamurthy A, Witzig TE, Salomão DR. Orbital Inflammation With IgG4-Positive Plasma Cells: Manifestation of IgG4 Systemic Disease. Arch Ophthalmol 2011;129:421-8. 60. Foucar E, Rosai J, Dorfman R. Sinus histiocytosis with massive lymphadenopathy (Rosai-Dorfman disease): review of the entity. Semin Diagn Pathol 1990;7:19-73. 61. Foucar E, Rosai J, Dorfman RF. The ophthalmologic manifestations of sinus histiocytosis with massive lymphadenopathy. Am J Ophthalmol 1979;87:354-67. 62. Nakashima M, Matsui Y, Kobayashi S. Relapsing uveitis in association with presumed sinus histiocytosis. Jpn J Ophthalmo 2006;50:484-6. 63. Chan AC, Chan JK, Cheung MM, Kapadia SB. Haematolymphoid tumours. In: Barnes L, Eveson JW, Reichart P, Sidransky D, editors. WHO Classification of Tumours. Pathology and Genetics of Head and Neck Tumours. Lyons: IARC Press; 2005. 64. Yang EB, Birkholz ES, Lee AG. Another case of bisphosphonate-induced orbital inflammation. J Neuroophthalmol 2010;30:94-5. 65. Shields JA, Shields CL and Scartozzi R. Survey of 1264 patients with orbital tumors and simulating lesions: The 2002 Montgomery Lecture, part 1. Ophthalmology 2004;111:997-1008. 66. Coupland SE, Krause L, Delecluse HJ, Anagnostopoulos I, Foss HD, Hummel M, et al. Lymphoproliferative lesions of the ocular adnexa: analysis of 112 cases. Ophthalmology 1998;105:1430-41. 67. Johnson TE, Tse DT, Byrne GE Jr, Restrepo A, Whitcomb CC, Voigt W, et al. Ocular-adnexal lymphoid tumors: A clinicopathologic and molecular genetic study of 77 patients. Ophthal Plast Reconstr Surg 1999;15:171-9. 68. Sullivan TJ, Whitehead K, Williamson R, Grimes D, Schlect D, Brown I, et al. Lymphoproliferative disease of the ocular adnexa: A clinical and pathologic study with statistical analysis of 69 patients. Ophthalmic Plast Reconstr Surg 2005;21:177-88. 69. Demirci H, Shields CL, Karatza EC, Shields JA. Orbital lymphoproliferative tumors: analysis of clinical features and systemic involvement in 160 cases. Ophthalmology 2008;115:1626-31. 70. White WL, Ferry JA, Harris NL, Groove Jr. AS Ocular adnexal lymphoma: A clinicopathologic study with identification of lymphomas of mucosa-associated lymphoid tissue type, Ophthalmology 1995;102:1994-2006. 71. Chan JK, Jaffe ES, Ralfkiaer E. Extranodal NK/T-cell lymphoma, nasal type. In: Jaffe ES, Harris NL, Stein H, Vardiman JW, editors. World Health Organization Classification of Tumours: Tumours of Haematopoietic and Lymphoid Tissues. Lyon, France: IARC; 2001. p. 204-7. 72. Woog JJ, Kim YD, Yeatts RP, Kim S, Esmaeli B, Kikkawa D, et al. 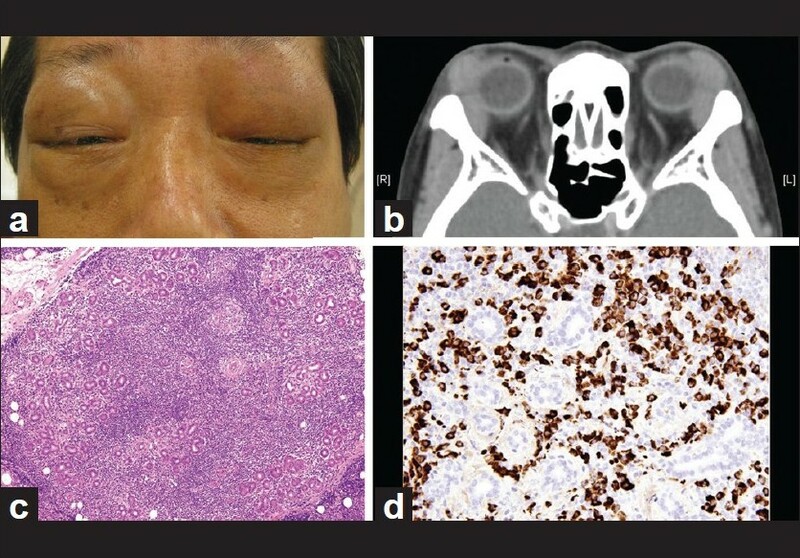 Natural killer/T-cell lymphoma with ocular and adnexal involvement. Ophthalmology 2006;113:140-7. 73. Charton J, Witherspoon SR, Itani K, Jones FR, Marple B, Morse B. Natural killer/T-cell lymphoma masquerading as orbital cellulitis. Ophthal Plast Reconstr Surg 2008;24:143-5. 75. Kim YJ, Kim YD. Orbital venous anomaly presenting with orbital hemorrhage. Jpn J Ophthalmol 2009;53:408-13.